With so many activities and attractions in Paris, you can easily spend your whole vacation in the city and not see everything. 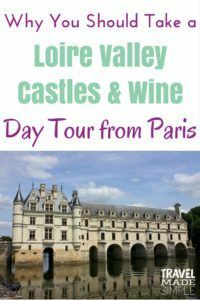 But if you’re looking for a little change of scenery or a different view of France during your trip to Paris, consider a day tour to see the Loire Valley castles. 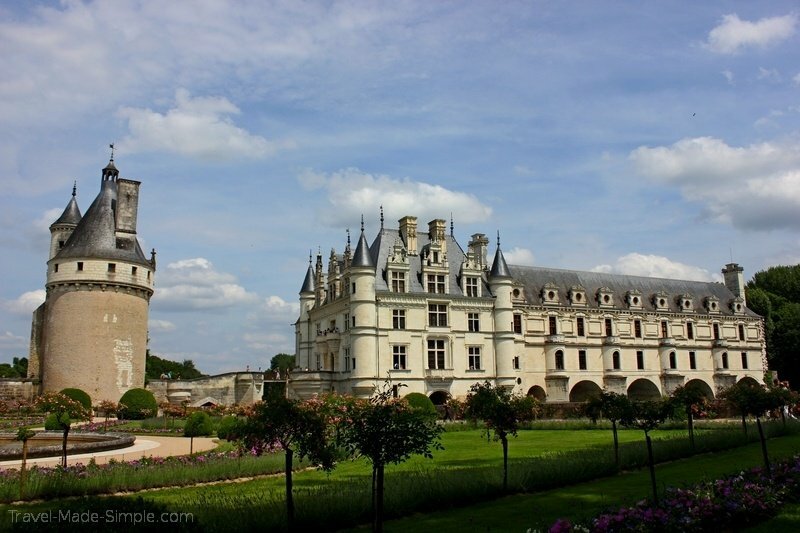 Here’s a look at a chateau tour I took in the Loire Valley as a day trip from Paris. 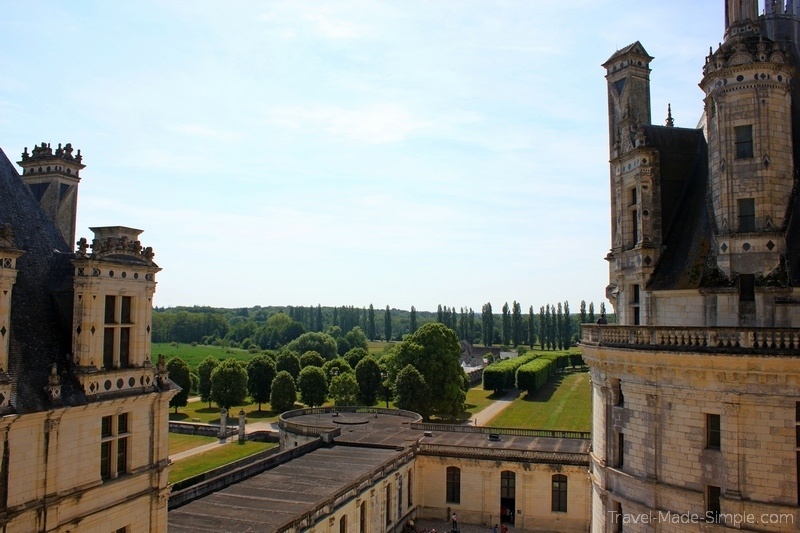 There are more castles in the Loire Valley than you could see on one short vacation, but chateau tours will bring you to a few of them and give you a sense of the region’s history. 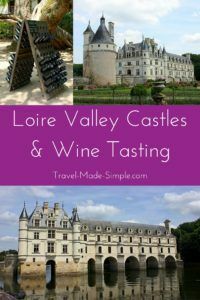 My best friend and I booked this tour from Paris to see some of the castles in the Loire Valley, and it also included a few Loire Valley wine tastings. 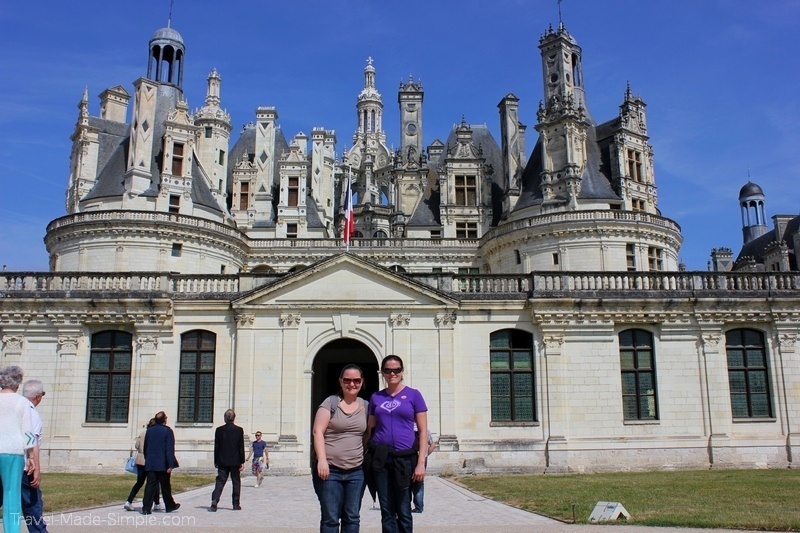 On the tour we got to visit Chateau Chambord and Chateau Chenonceau, two of the more well known castles and most popular on Loire Valley castle tours. We also stopped at Chateau de Nitray, which is a family owned castle and winery, where we had lunch and some of their Loire Valley wine. 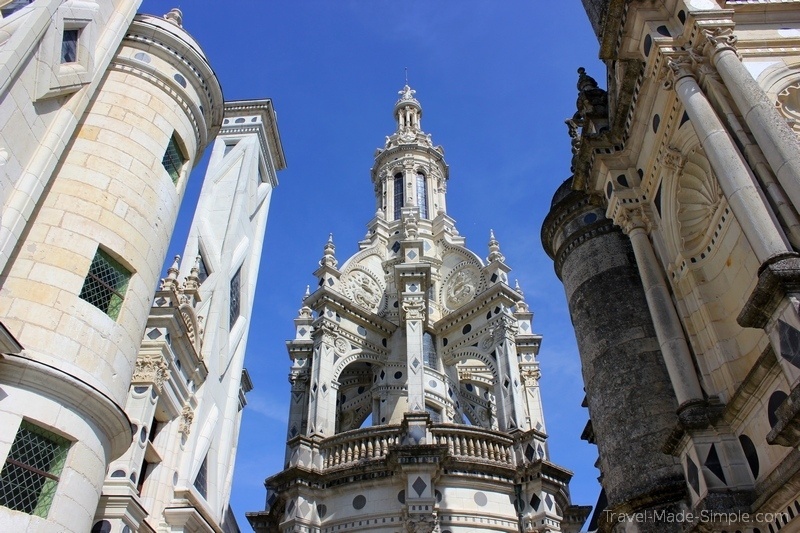 Chateau Chambord is the largest chateau in the Loire Valley. 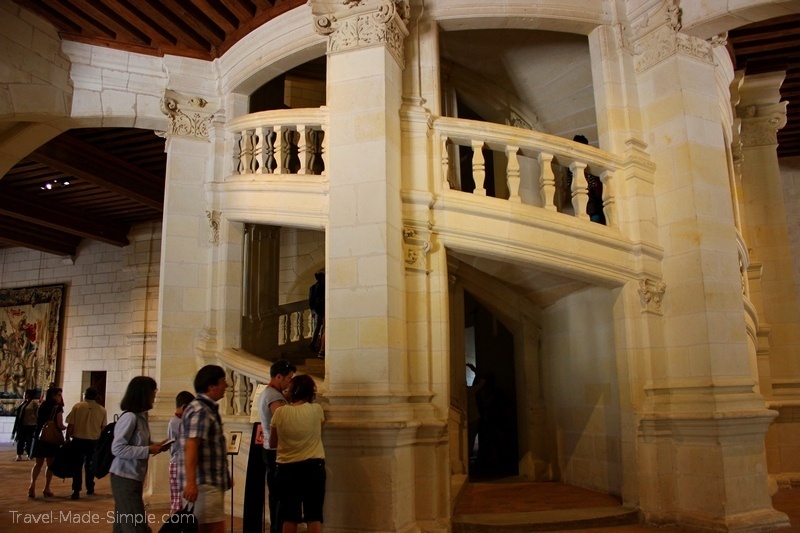 And despite being one of the most popular castles on Loire Valley tours, it never felt crowded while we were there. Our guide told us some of the castle’s history while we rode down from Paris. Once we arrived, she took us inside and pointed out some of the unique features, like the double helix staircase. Supposedly it was built so that the king’s mistress could walk up and down one side without being seen by the queen walking up and down the other side. I really enjoyed the views of the surrounding countryside from the castle. There were large balconies where we could admire the landscape and try to imagine what it might have been like centuries ago. 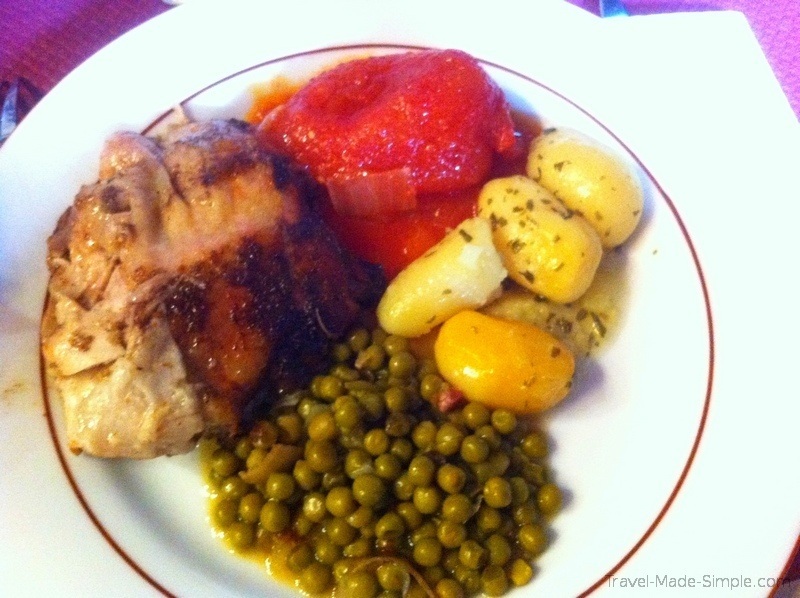 At our lunch stop, we were served a simple but tasty meal of chicken, tomatoes, peas, and potatoes. Along with our food, we enjoyed several different kinds of wine. Lunch was followed by a brief tour of the property so they could tell us a little more about Loire Valley wine. Our final castle of the day was Chateau Chenonceau, the one I was most looking forward to on the Loire Valley castle tour. Part of it is built over the river so it almost looks like a bridge, which I thought made it really interesting. 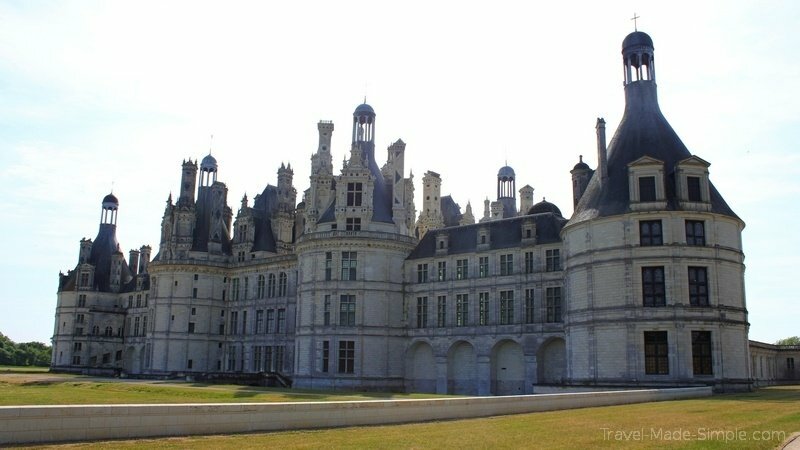 As with Chambord Castle, our guide told us about the history of Chateau Chenonceau while we drove there and once we arrived. 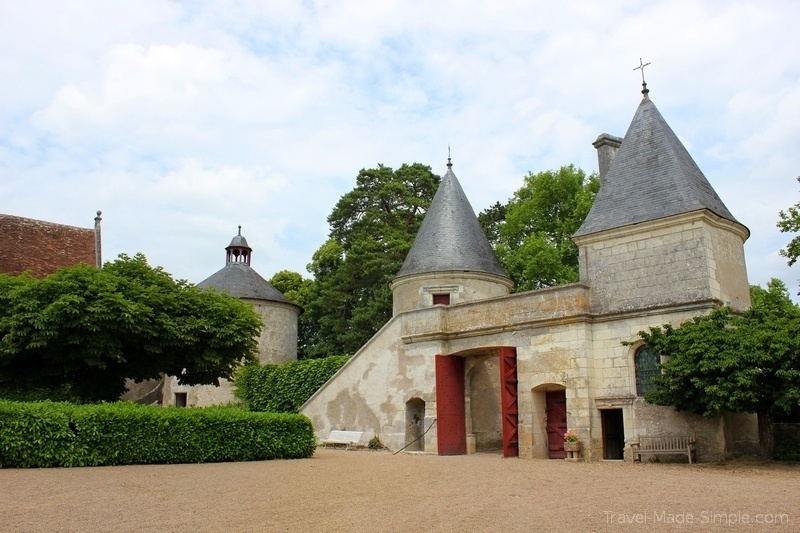 It was once the home of Diane de Poitiers, who was the mistress of King Henry II. He gave her the castle, but after his death, his wife, Catherine de Medici, kicked her out. 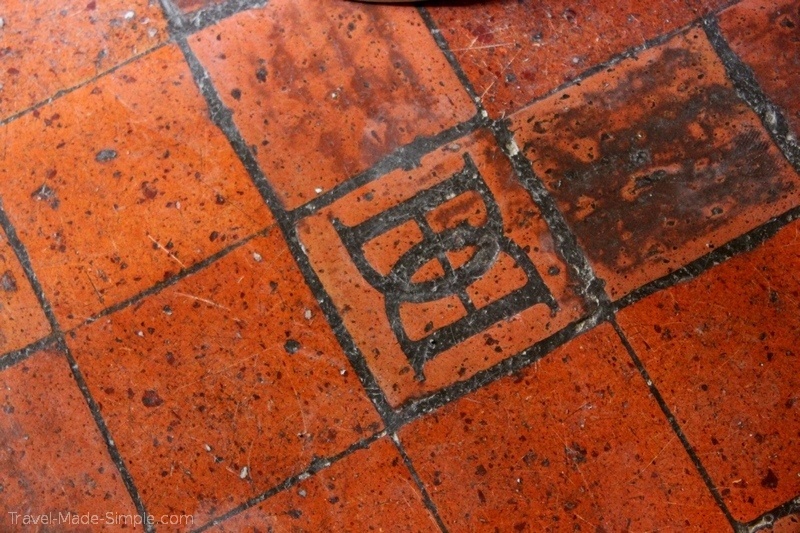 Throughout the castle, there are decorations comprised of H’s and D’s, for Henry and Diane. Henry always insisted to Catherine that the D’s were in fact C’s, but let’s face it – she was no fool. 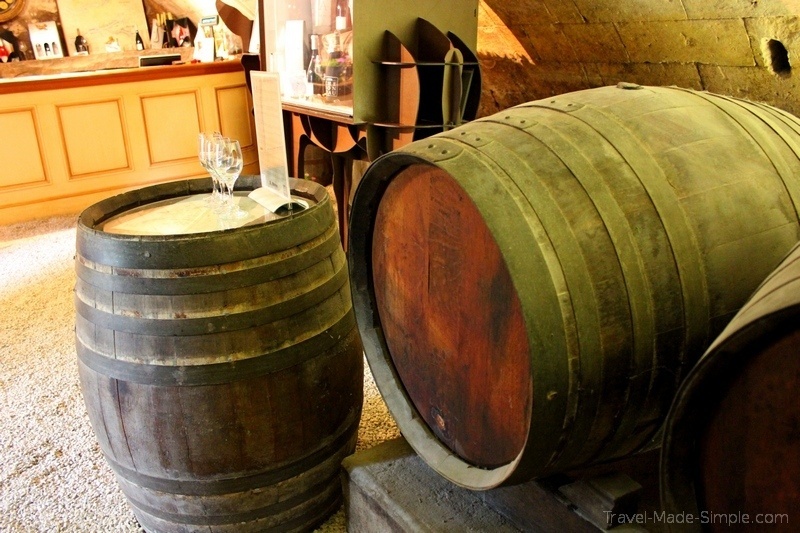 After a little free time at the castle, we met at one of the smaller buildings on the property where there was a wine cellar. Here we got to try several more wines from the Loire Valley. It was a fun way to finish off the tour before the drive back to Paris. 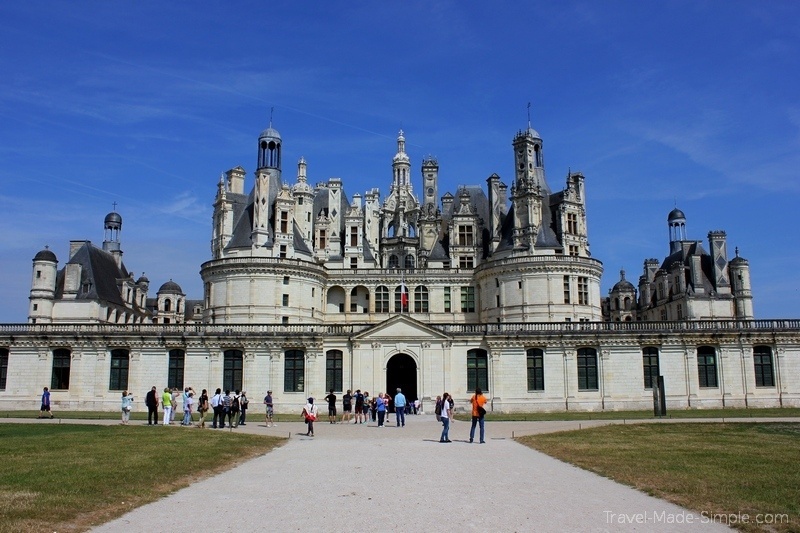 If you want to see castles near Paris, an organized day tour is the way to go. We had to get to the meeting point in Paris early in the morning, and at first it seemed like a rather large group. However, that’s just because it’s such a popular tour. 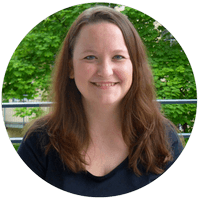 The group was split up into much small groups, so it never felt like too many people. 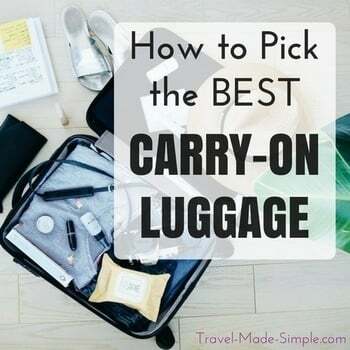 The Loire Valley is a little ways out from Paris, so expect a long day. From start to finish, the tour lasted about 13 hours including driving time. Even though it was a long day, I really enjoyed myself. I actually wished they had made it a tiny bit longer so we could’ve had a little more time at Chateau Chenonceau, but I’m sure a 14 hour day would feel too long for most people. I booked the Loire Valley castles tour through Viator for 165 euros (about US$189) per person. 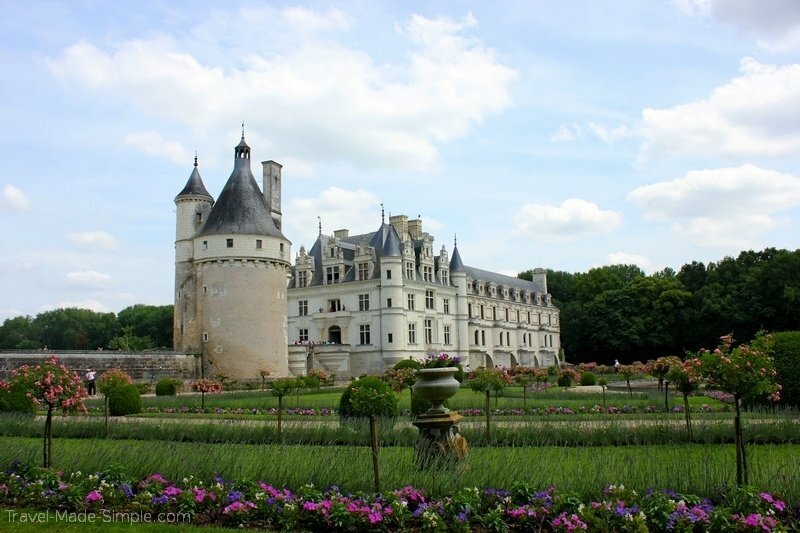 The price included transportation to and from Paris, a knowledgeable guide, lunch, wine tastings at two of the three stops, entrance to the castles, and skip-the-line-access to Chateau Chenonceau. I definitely recommend this tour, and I think it is one of the best day trips from Paris. 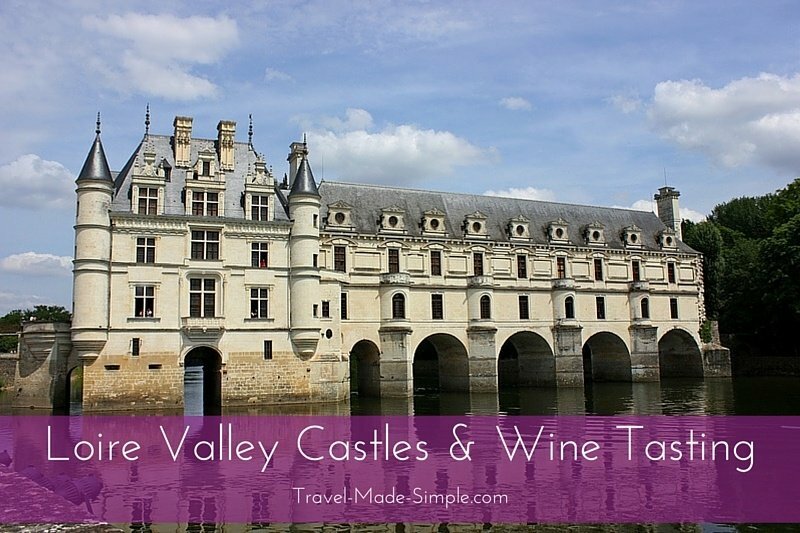 Book the Loire Valley Castles and Wine Tasting Tour here!